Use Android phone as mouse to control the computer"
Have you ever wondered how easy it could be to type, draw and perform operations on your computer using your smartphone? 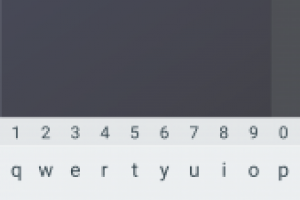 This is now made possible by this utility. 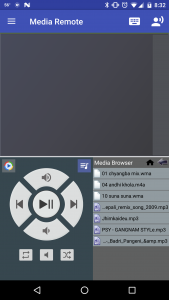 This application along with mobile-based Andromouse allows you to convert your Android smartphone into a wireless keyboard, mouse, media remote, file browser and much more. The application does not require installation, just download the zip file and extract the readme text file and the executable java file. To run the executable file, you need to have Java runtime installed on your system. The application connects with your Android smartphone via WiFi network or Bluetooth. 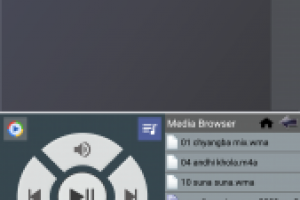 The application allows you to perform some other functions from the comfort of your smartphone, such as speak-to-type, presentation and power remote, media remote and file browser. Through the connection, you can use your smartphone to perform basic mouse functions such as click, double-click, zoom, drag and drop, scroll and right-click. 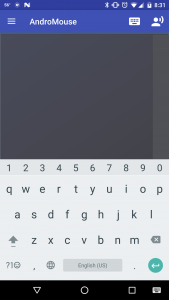 You can also use your phone’s keyboard to perform basic keyboard functions. Overall, the application simplistic look makes it more user-friendly, and when paired with its mobile-based counterpart, they offer one of the best wireless mouse and keyboard application. AndroMouse Server is licensed as freeware for PC or laptop with Windows 32 bit and 64 bit operating system. It is in system miscellaneous category and is available to all software users as a free download.